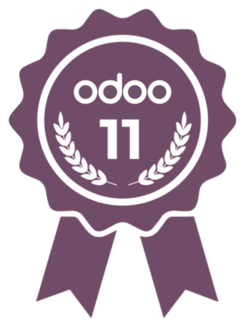 The first step in exploring the benefits of using Odoo for your business is to begin a dialog. Contact us today, with no obligation. We are a vertically integrated hemp raw material supply company, offering 3rd party products for distribution from the most trusted brands in America. We operate out of the Cornell Creative Creative Business Center, within the ARC program in Kingston, NY. Established in 2011, ExtractionTek Solutions was born in response to the growing need for quality-manufactured, safe and efficient, closed-loop equipment for the light hydrocarbon extraction industry. Upon inception, ETS began working on the design that created an industry. The lhbes-1200™ was introduced to the public and the rest is history. As the industry took root in the early years, ExtractionTek Solutions closely worked with clients and regulatory agencies, forging the paths needed for safe and efficient extraction. As the industry continues to grow and flower, ETS remains focused on developing to the needs of our clients. We are presently proud to offer three, approved for market, extraction machines that lead the industry in processing speed and offer a wider range of runs sizes, than the rest. The-1300™,The Modular Extraction Platform™ (The MeP™), The miniMeP™. At ExtractionTek Solutions, our customers come first and the relationship doesn’t end when you purchase an ETS machine. Today, we continue developing relationships with our customers, providing practical, working solutions to our industry’s evolving needs. ExtractionTek not only raises the bar but also sets the mark, for the rest of the industry. Fabricmate Systems is a leading supplier of aesthetic, acoustical, tackable, and magnetically receptive wall surface solutions throughout North America and the world. One of the pioneers of stretched-fabric wall paneling systems, we constantly strive to improve upon that original concept. We are continually introducing enhancements to existing products and introducing new products like our Pre-made and Modular Floating-fabric Wall Panels as well as a variety of other vertical surface solutions and supporting products including Baffles, Clouds, Privacy Panels, Dry-erase Panels and surface materials, Acoustical Wall Art, Large Format Graphics and many others. ELEVATING ATHLETES AND TEAMS THROUGH HIGH-QUALITY, LOW-COST UNIFORMS AND APPAREL. The power that apparel has to unite, inspire, and even intimidate is what drives us to keep making them better. Tecno Display specializes in standard and custom glass display showcases as well as custom store designs. Founded in 1976, Tecno Display is located in Sparks NV in a 27,000 square foot manufacturing facility. Our employees have decades of combined experience in the production and design of display cases. We have invested heavily in modern machinery. We also hold a GSA contract with the Federal Government.